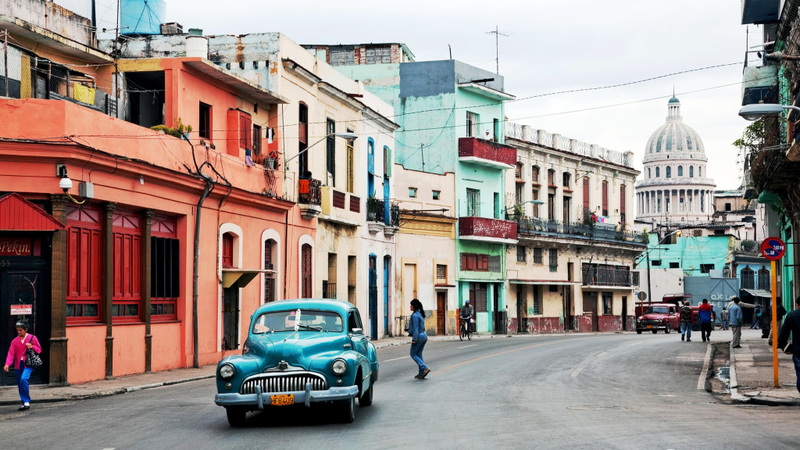 U.S. travelers can now book hotels in Cuba on Expedia, making finding lodgings and paying for them a bit easier, the New York Daily News reports. While U.S. travelers can’t book flights or vacation packages on Expedia yet, the hotel booking feature is up and running. Options aren’t limited to state-approved hotels, either, but include guest rooms, so-called casa particulars, and a few apartments, which could cut into Airbnb’s business in Cuba. The move comes after President Obama eased Cold War-era travel and trade restrictions with Cuba, making it possible for visa-holding travelers to visit the island nation. The Trump administration, however, is reportedly reviewing the U.S.’s relationship with Cuba. According to the Miami Herald, Trump’s Cuba policy review was supposed to be announced by Saturday, but it was postponed as it has not yet been completed and the president is traveling out of the country.